Continuity – of sales and client info, emails and processes – is a business’s life blood. Given this, CloudBackup Pro is your guardian IT angel, backing up your company’s critical data on-site, online, and in Vox’s sophisticated data centre. Designed for a wide range of servers, CloudBackup Pro uses speed-maximising technology, and restores 100% of your backed up data. Back up files and folders in real-time. You can also create three different backup sets, each with their own configurations. CloudBackup Pro uses password protection with best-practice encryption technology. It also has a handy ‘system log-out’ reminder feature. Choose between daily, weekly, monthly custom backup schedules, to suit your unique business needs. Plus, receive reminders about off-line backups. With its multi-threading capacity, CloudBackup Pro creates processing efficiencies during backup or restoration, meaning optimal performing isn’t compromised. Original files are backed up once, excluding any changes – giving you the ability to restore multiple versions of a document. Rest assured that you are able to keep a copy of the backup on a local hard-disk for fast restoration. What are the minimum requirements for CloudBackup? 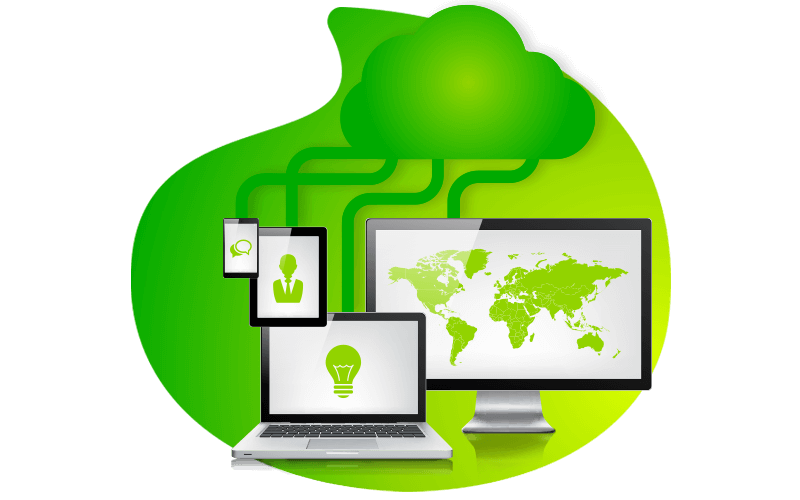 CloudBackup is a cloud solution, thus you will first and foremost require a computer with an internet connection to be able to perform online backups. Secondly, you will be required to subscribe to either a Desktop or Server License bundled with a storage bundle, aka “lease” (50GB – 10TB) of your choice. The storage lease dictates your backup policies of your users, and once this is in place you’ll be able to add additional machines (desktop and server) and utilise the same storage bundle as a backup pool. From a system requirements point of view, it is recommended to be installed on a 64 bit machine, with multiple CPUs and cores, especially for environment setup with application specific backup module such as virtual machine, MS Exchange, or bare metal backup. Minimum requirements to install CloudBackup: X86 or X64 bit CPU architecture running at 2 GHz or higher, 4 GB of RAM, 1 GB disk space for application and buffer. What can I backup using CloudBackup? CloudBackup has two different license types, namely Desktop and Server. Desktop Backup is an easy to use client agent for backing up PCs and Macs. It is equipped with modules for backing up File, Lotus Notes, and Windows System. Server Backup is a comprehensive client agent for backing up servers, databases and virtual machines. Various add-on modules can be used in conjunction with Server Backup for backing up VMware*, Hyper-V*, Microsoft Exchange Server, Microsoft SQL Server, Oracle Database, MySQL Database, Lotus Domino, Lotus Notes, Windows System, Windows System State (Active Directory), and File. Your data is not only password protected, it is also protected with a 256-bit encryption during both transmission and at rest. Further data follows a secured connection (SSL) and this makes the service just as secure as an online banking transaction. No one can have access to your data but you. Vox’s cloud storage is stretched over two data centres namely Waverley in JHB and Teraco based in Isando. Both our data centres are conveniently located within South Africa borders to eliminate any sovereignty implications to our customers. Can I access my data on the web? No. Your data can only be accessed by installing the software and authenticating the user. Do I need to have my computer on at all times for it to backup? For the duration of the backup, your computer must be on and be connected to the internet. But should your computer be switched off during the scheduled backup time then the backup will start the next time you login and are connected to the internet. It is important to connect external drives that are part of the backup registry every 30 days to avoid losing that data. What happens if my backup is interrupted? If a backup is interrupted, for instance the internet goes down. Then CloudBackup will try and reconnect according to the set intervals and if it reconnects it will rerun the backup. A notification will be sent to you stating the backup failed, once completed you will receive a notification the backup was made successfully.